I’ve always love the sixties shift dresses look, but mainly on other people. They are so chic, stylish and timeless, but most importantly it seems so effortless to just throw on a narrow shape dress and still look stylish. The columnar silhouette was characterized to flatter most body types…but I find most shift dresses are narrow as hell and never really fit me correctly. Too loose on top and too tight around my hips. The design of shift dresses are not supposed to hug or “cinch” the body but I find the hemline always cinches the beejesus out of my thighs. I thought maybe I’m just having a Chip Wilson (lululemon) moment and am buying workout clothes shift dresses 2 sizes too small, until I got this OASAP dress in the mail. It’s perfectly shifted and fits like a glove without being too tight or too boxy. 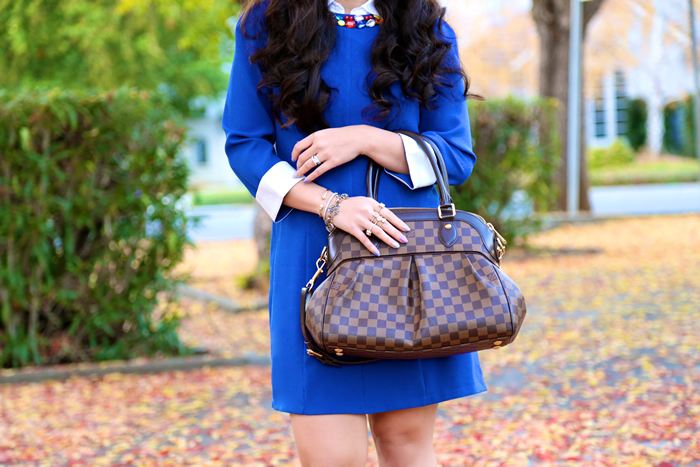 I also love the added white collar and faux cuffs for a nice contrast to the bright cobalt blue. Now I know the shift dress that best flatters my body type is one with a slight triangle shape as it flares out at the hemline. 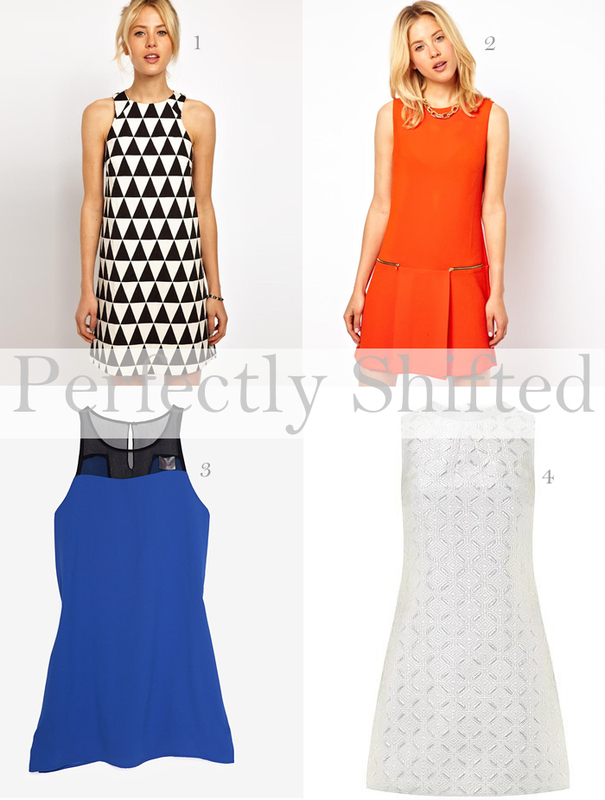 Here are a few of my favorite shift dresses, works well for curvy shapes and on sale. Thank you for this post! 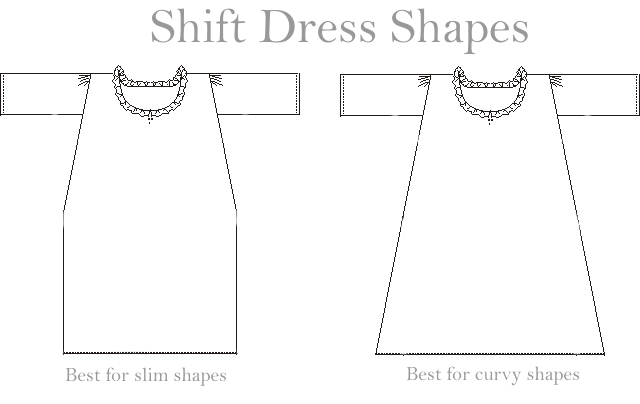 I love shift dresses too, but I am built very similarly to you and always have trouble (I am an xs or s on top but a size 4 curvy gap on the bottom). I will search for more triangular shaped versions from now on, didn’t realize some were different! Thanks! I really love how one day you can be edgy and than morph into a classy and supplicated woman. 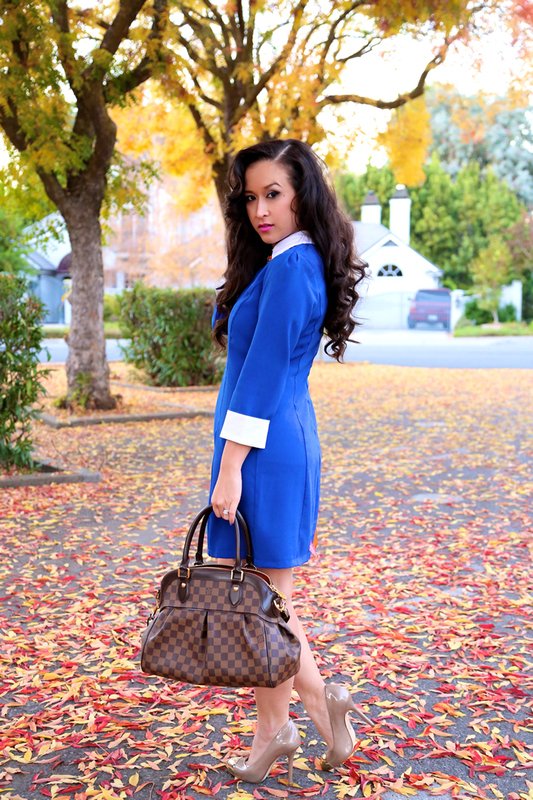 Your style is so versatile and it always keep me coming back for me to see what could you be wearing today. I know that you’re not predictable! Triangular shifts dresses look great on every body shape as it instantly shows off the waist.